It´s the perfect complement of DMS DJ EDU to lear to mix. 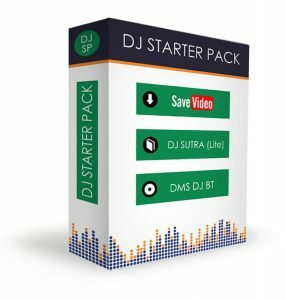 It has three diferent software and they work as Standalone (do not requiere DMS DJ EDU) and/or Pluging (as DMS DJ EDU bundled software). 3.- PRACTICE THE BASIS OF THE DJING (BEATMATCHING), WITH A TURNTABLE SIMULATOR (DMS DJ BT). WHERE YOU CAN FIND THIS TOOLS? Once installed you can use as plugin and/or standalone mode, and they will be located at the header of DMS DJ (plugin), or at your program list like an independent application.